Stay within the ivy-clad walls of the gorgeous Gisborough Hall Hotel 4*, a Grade II listed mansion shrouded in a fascinating history. 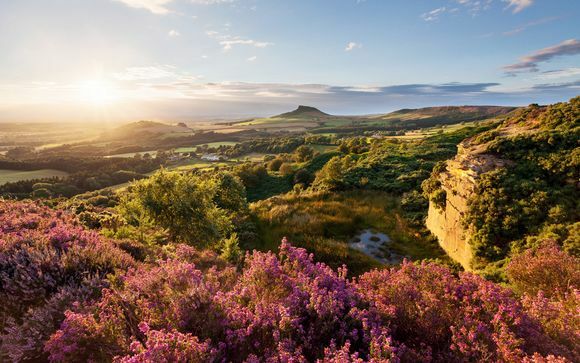 Hike through the North York Moors, a landscape where autumn brings golden hues and winter can come with stunning snowfall. Our guests benefit from accommodation in a Woodland King Room complete with delicious Half Board Dining throughout their stay! The Gisborough Hall Hotel 4* is surrounded by swathes of woodland and gardens in the legendary North York Moors, perfectly situated near the craggy coastline cliffs and tangled countryside. Experience the landscape that has long captured the imagination of Britons and visitors alike: the low-lying fog coiling through the hills in the morning, the orange and red patchwork of the fields in autumn, the white-tipped waves crashing against the shore. Guests staying in winter may even experience snowfall, where snow blankets the scenery in pristine, untouched white. 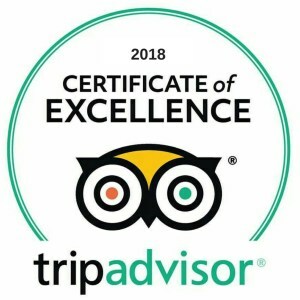 Enjoy picturesque walks before returning to the Gisborough Hall Hotel 4* for a hot cup of tea or, for those indulging themselves, a nice glass of wine by a roaring fire. 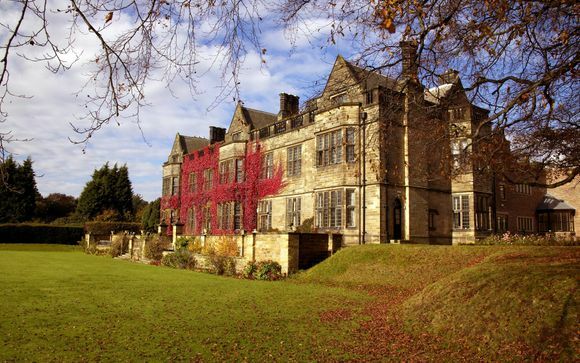 A Grade II listed building on an estate with a history that spans back to King Henry VIII, the Gisborough Hall Hotel 4* is a gorgeous place to stay, with renovations that have made it perfectly suited to the modern and discerning traveller. The Gisborough Hall Hotel 4* is more than just a gateway to stunning countryside: it also boasts multiple dining options and places to drink, ranging from casual to gourmet. Those wanting to unwind after a day of hiking may want to book a treatment in the Revival Zone, where a range of therapies are on offer. Feel swept away from normal life as you enter a world of relaxation, rich history and rural beauty. Ask the friendly staff for advice on hiking trails and local attractions - and be sure to visit the friendly llamas in the fields! This offer is based on a stay in a Woodland King Room. 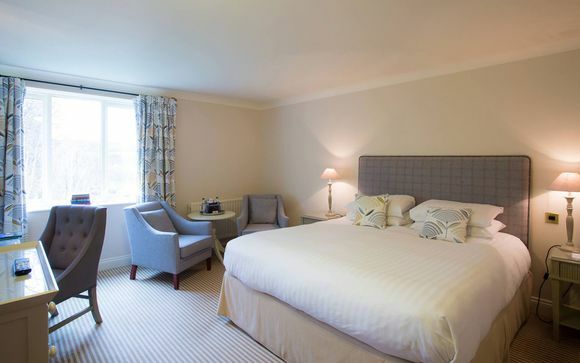 Overlooking the charming woodland and rolling hills, the Woodland King Rooms have a super king sized bed for ultimate relaxation. Enjoy all the amenities you need to be comfortable when you stay in these individually decorated spaces, such as a TV, tea and coffee making facilities and complimentary mineral water. This offer is based on a Half Board Stay (breakfast and evening meal served in the main restaurant - excludes drinks). Boasting 2 AA Rosettes, Chaloner's Restaurant is the perfect place for a special, gourmet meal with a loved one. Enjoy a high-end twist on distinctly British flavours, where locally sourced ingredients such as Yorkshire venison, blue cheese and North East mackerel take the centre of this culinary stage. Perfect for a pre-dinner drink, lunch or informal dinner, G Bar & Bistro serves up some of the best British favourites, such as fish and chips, burgers and bangers and mash. Nestled in the muniment room - where the deeds of this fascinating estate used to rest - this bar offers a luxury drinking experience in a Victorian environment. Enjoy cocktails, fine wines and other drinks sure to impress anyone who knows their bitters from their Baileys. This is truly a spectacular (not-so-secret) gem of Gisborough Hall. Fancy a spot of tea? Why not enjoy an afternoon tea in the luxurious Drawing Room, where a grand piano, roaring fire and family portraits surround you as you indulge in a hot crumpet. Another gorgeous room in the house, where family artefacts and heirlooms decorate the walls, the Main Hall is a great place for a snack or drink during your stay. Reconnect with a loved one by challenging them to a board game, or read one of the many newspapers, magazines and books that fill the space. The Revival Zone awaits! Whether you're seeking treatments to enhance your natural beauty, such as facials, or a hot stone massage to help rest your bones after a day of hiking, the trained therapists of the Gisborough Hall Hotel 4* can help. Using Elemis products, enter the Revival Zone and discover a tranquil world of candles, natural sounds and delicious smells, where you can truly forget the rest of the world. The Address of your Property is: Whitby Rd, Guisborough TS14 6PT. 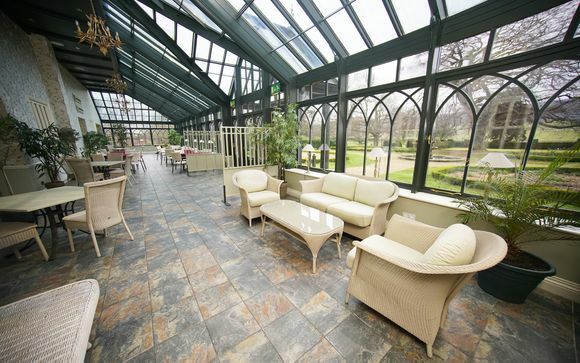 Distance from Marske Station to the Gisborough Hall Hotel 4*: 8.3 km / 10 minutes. Our price doesn’t include any additional taxes, which may be payable locally (this price is a guideline and is subject to change without prior notification).